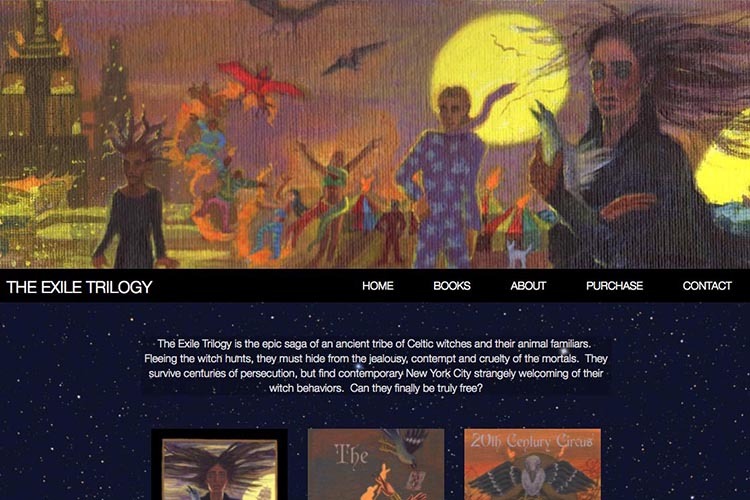 The feature for this site is a trilogy of graphic novels telling the saga of ancient Celtic witches fleeing persecution over several centuries. 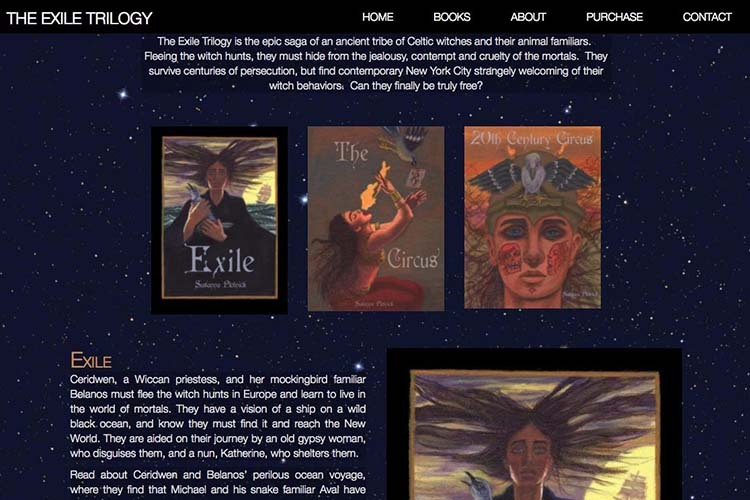 The client’s request was to display all the content for the three books on one long-scrolling page—including all the double page-spreads—and to keep the whole look and feel in keeping with the outsider/epic narrative of the books. 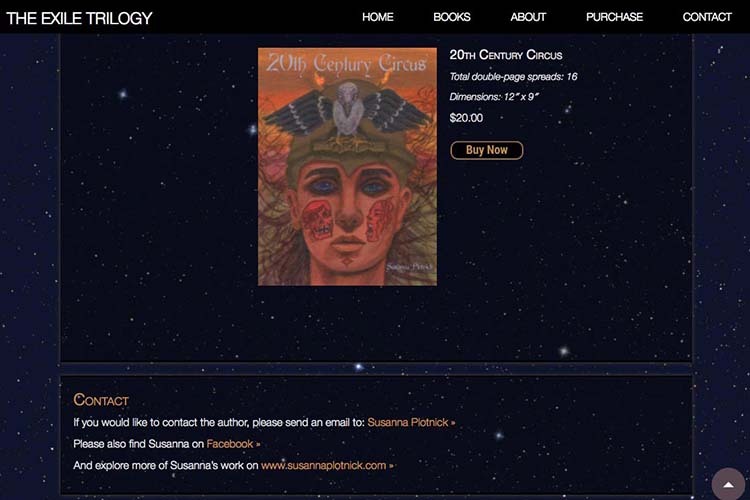 The challenge was to make it easy to get around this long page with 49 full-width double-spreads to view. We started by making sure the links to all places down the page were fixed at the top of the page so one could get anywhere easily. 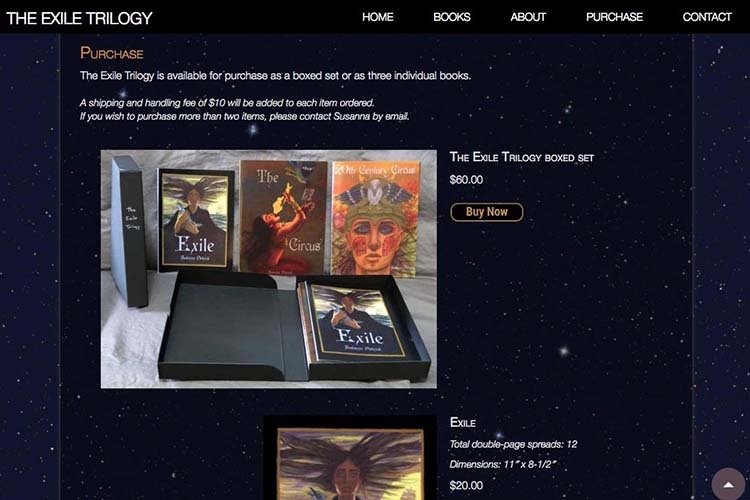 Then we set the three books up to display four spreads each by default, giving each one a “view more” link which opened and closed the remaining spreads for full viewing. 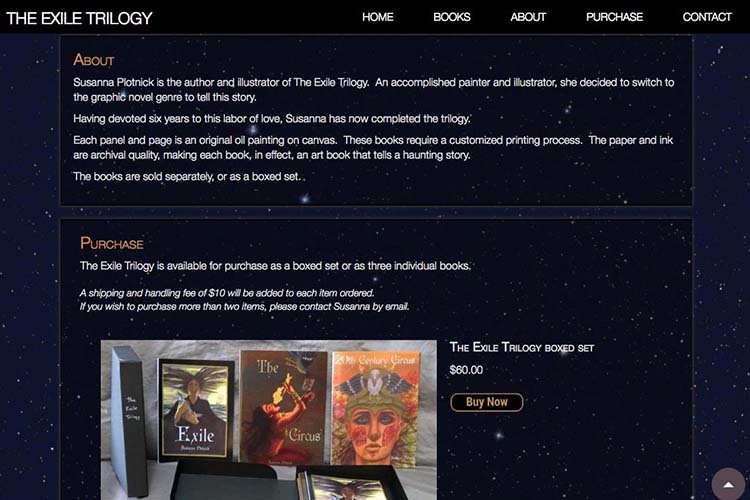 We also asked the client to create a banner image incorporating the characters in the three novels—and worked closely with her to create an image in proportions that would work for responsive design. The completed page enabled a visitor to quickly get the feel of the work and also to potentially enjoy a quick manual scroll down the entire page before beginning to open up the books. 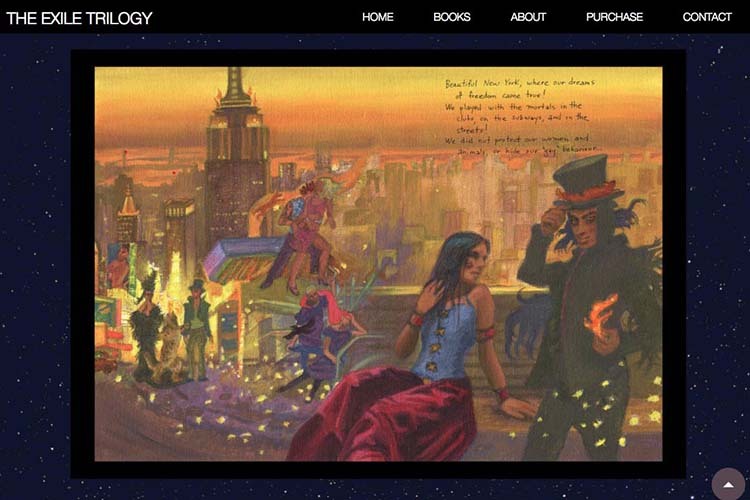 In the interests of gaining actual book sales, the full balance of the page-spreads has been hidden—but they may be returned at a later date. This site was published in March 2017. To view our more contemporary designs, please visit Recent Websites. 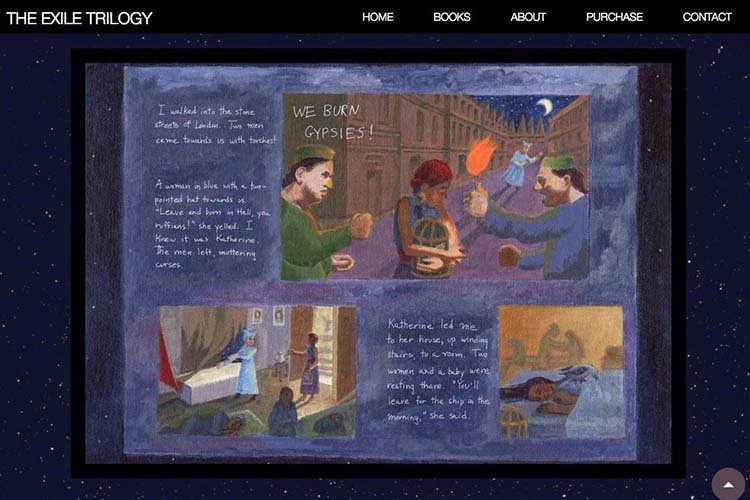 My wonderful web designer, Rohesia Hamilton Metcalfe of Hamiltro Website Design, shares her process of creating the new website for my graphic novel trilogy. Her empathy for and understanding of artists' work creates the best possible design.